Considered to the greatest ever field hockey player, Dhyan Chand helped India win three Olympic gold medals. This biography of Dhyan Chand provides detailed information about his childhood, life, achievements, works & timeline. The winner of three Olympic gold medals in field hockey, Indian hockey player Dhyan Chand was undoubtedly one of the best sportsmen ever to have graced the game. He was a part of the highly talented Indian hockey team during the era when India dominated the world hockey. A sportsman beyond compare, his goal-scoring feats were simply out of the world. So much so that he was called “The Wizard” for his uncanny hockey talents! He exercised tremendous control over the ball and was an expert at dribbling. In fact his dribbling skills were so unbelievable that his fans fondly called him a magician with a stick. Opposition teams often broke open his stick to check if there was something special inside it. So much was the world in awe of this hockey player that it is rumoured that Adolf Hitler offered him German citizenship and the post of Colonel in the German Army following his splendid performance in the 1936 Berlin Olympics! His love affair with hockey began when he joined the army as a teenager. 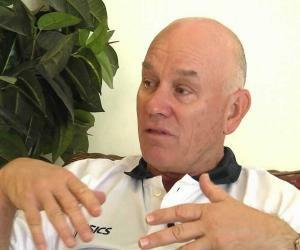 Initially he played for the Army teams where he made a name for himself. He was captain of Indian hockey team that went on to win gold medal in the 1936 Berlin Olympics and was part of the earlier two Olympic Gold medal winning hockey teams, i.e., 1928 Amsterdam Olympics and 1932 Los Angeles Olympics. Dhyan Chand was born in Allahabad to Sameshwar Dutt Singh. He had two brothers. His father worked in the British Indian Army where he played hockey. He could get only six years of schooling as his family had to move from one city to another continually because of the transferable nature of his father's job. He loved to wrestle as a youngster though he was not much inclined towards other sports. He joined the Indian Army when he was just 16. He started playing hockey seriously during his army stint, often practicing late in the night after duty hours. He was a good player and from 1922 started playing in army hockey tournaments. Due to his skills he was selected to play in the Indian Army Team which was to tour New Zealand in 1926. His team won 18 matches out of 21 in the tournament and Dhyan Chand was greatly appreciated for his performances. He was promoted to Lance Naik upon his return to India. Field hockey was reintroduced in the 1928 Amsterdam Olympics and the Indian Hockey Federation (IHF) wanted to send its best team for the event. Dhyan Chand with his great performance in the inaugural nationals secured a place in the team. The Indian team went to Amsterdam and beat the Dutch, German and Belgian teams in the pre-Olympic matches by huge margins. Chand scored three goals in India's debut Olympic match against Austria, winning 6-0. India also won the matches against Belgium, Denmark and Switzerland on their way to the finals. In the final match held on 26 May 1928, India faced the home team of Netherlands. Some of the India's top players were on the sick list and India’s chances looked bleak. 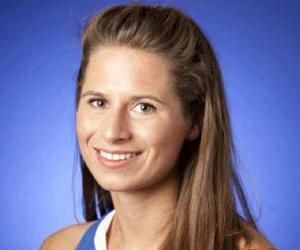 However, the team still managed to beat Netherlands 3-0 and India won her first Olympic gold medal. 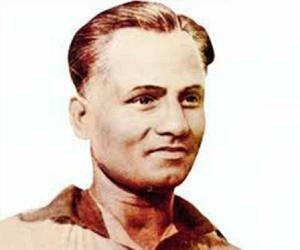 Dhyan Chand emerged as the hero of the 1928 Olympics by scoring 14 goals in five matches. 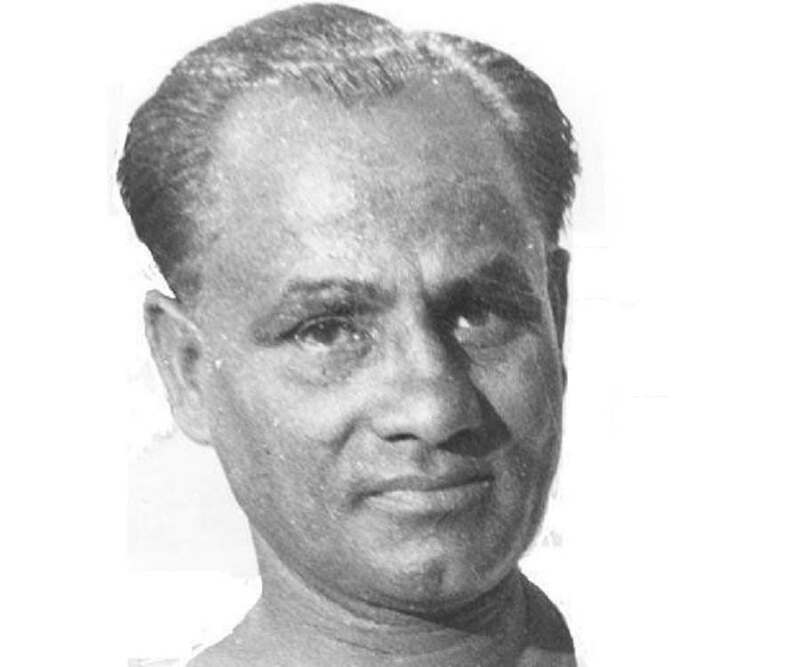 For the 1932 Los Angeles Olympics, Dhyan Chand was automatically selected to the Indian hockey team while the rest of the team mates had to play in the Inter-Provincial tournament to earn their places. His brother Roop Singh also secured a place in the team. India's first match in the 1932 Olympics was against Japan which it won 11-1. It proved to be a good omen as India went on to win many other matches before triumphing in the finals to clinch the gold once again. After the Olympics the team went on an international tour covering United States, England and several other countries. By the end of the tour, India had won 34 matches out of 37 with Chand scoring 133 of the 338 goals scored by India. He was made the captain of the Indian hockey team in 1934 and he led the team to the 1936 Berlin Olympics. There too he worked his magic and team win the gold medal - India’s third successive gold in field hockey. He continued playing hockey till the late 1940s and retired from army as a Major in 1956. He became a coach after his retirement. He was part of the Indian hockey teams that won three Olympic gold medals in field hockey in 1928, 1932 and 1936. Over his sporting career he had scored more than 1,000 goals out of which 400 were international ones. He was honored with the Padma Bhushan, India's third highest civilian award, in 1956 for his contributions to the field of sports. He married Janaki Devi in 1936 and had seven sons with her. The last years of this sporting legend were unfortunately spent in misery. Largely forgotten and short of money, he became very disillusioned with life. He suffered from liver cancer and died in 1979 at the age of 74. India’s highest award for lifetime achievement in sports, The Dhyan Chand Award, is named after him. A statue of this hockey legend with four hands and four sticks was erected in Vienna depicting his master control over the ball. The birthday of this great hockey player, 29 August, is celebrated as National Sports Day in India.